The AD-LC6 MKII is a high power 6 channel LED driver. This versatile LED driver can be used for our RGB, single colour and tunable white LED modules as well as our LED spot range . 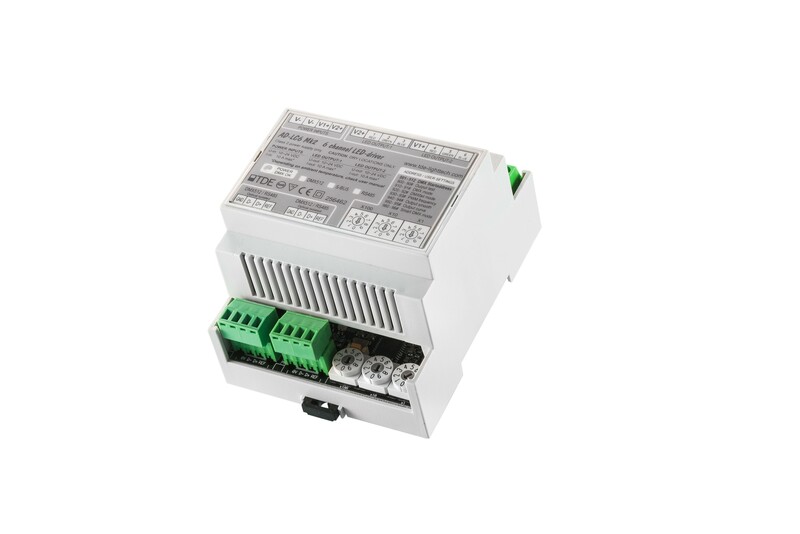 The driver is controllable through DMX-512 but also offers stand-alone functions and is configurable with its internally selectable user modes. The refresh rate of this driver is adjustable up to 1800Hz which makes this driver suitable for studio applications. This LED-driver is also available as a 12 channel version.